Welcome to Harrogate Roofing Co.
Harrogate Roofing is a professional roofing company specialising in all types of conventional roofing. Based in Harrogate, North Yorkshire the company has a combined experience of over 25 years expertise in roofing and building. Harrogate Roofing is one of only a handful of companies in the area to cover all roofing disciplines. Commercial or domestic, big or small, replacement or repair, we can do it all. All our work is fully guaranteed and is done by skilled tradesmen. We provide a free quote for all enquires which is valid for up to three months after being issued. Our roofers carry out work to the the whole of the Harrogate area. All our work comes with a guarantee so our customers can feel confident that all work is finished to the best possible standard. We aim to finish on time and clean up the site thoroughly which helps us build lasting relationships with our customers. If you are looking for a good, safe roofing company in the Harrogate area whether it is a simple roof repair or a full re-roof ‘Harrogate Roofing Company Limited’ offer a 100% satisfaction guarantee. 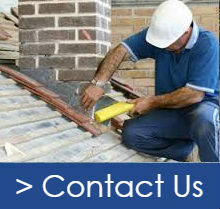 To get a free no obligation quote or roof health check, get in contact with us today. Here is a general selection of roof services that we carry out.